I was so surprise to hear this from my 4 year little one that she is having back pain. I asked her what exactly is paining. She answered bone in the back. It was very difficult for me to digest. I mean at 4 years we did not know of any pain, except for the pain when we got bruises while playing. So this tells us that how bad is our lifestyle. And children definitely learn from us. It can be a good deal or a bad deal. So what is the reason for the back pain in such young kids? Why we did not get these pains? We as kids use to play out door so many hours in a week, irrespective of if it’s a sunny hot day or a windy cold day. That was a kind of exercise for our body. Sunlight helped us to activate Vitamin D in our body which helped to keep our bones and muscle strong. Food we ate was more of farm fresh and almost organic and we did not pay additional price for that. What is happening now? There is no time for kids to play, where they can move your body parts and train their muscles and bones. Hence they don’t feel hungry and don’t drink enough water. This going ahead leads to habit of drinking less water and dehydrating your muscles, bones and body. Which lead to any chronic condition in future. When we talk about sun exposure, it would be less than couple of hours a week. So you child ins deprived of the sunlight and hence there is no enough Vitamin D produced in body and this leads to weakened bones and muscles. When your bones and muscles are weak, you are more prone to injuries and also experience frequent pain in your body. So as kids let them enjoy the play time, do not worry about it being a sunny day or a windy day. Let them learn how to face them and experienced that tiredness in body which will in turn help them to have good metabolism and eat well. When it comes to diet, junk foods are highly acidic in nature, which supports to melt down your bones over years. So it is very important for kids also to have healthy eating habits. Let them know difference about good food and bad food. Tell them the frequency of eating good food and bad food. But the same practice should be followed by you as parent, so they learn from you. Apart from diet and exercise what are the other reason for back pains. Wrong posture. Sitting at one place for a longer period of time leads to pains as they are not aware when they moved from a right posture to wrong one. So it is advised for kids to move from one place to another every half an hour to one hour. Over stressing their muscles. In this competitive world, parents want their kids to do well in studies as well as all other activities like gymnasium, dance, and sports. So here again their muscles and bones are over stressed and hence they experience all sorts of pains. So give time to kids to learn thins gradually. If there is bone alignment disability, then also there are high chances of back pain. For this you need to take specialized advice. You should note down this and consult doctor for the same as many disabilities can be corrected. 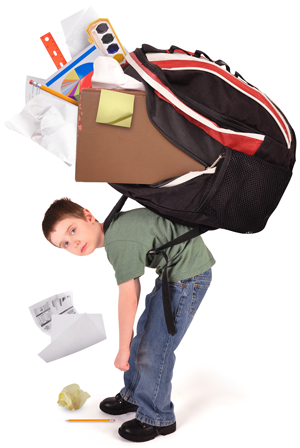 Carrying school backpack on one shoulder. Sedentary lifestyle, such as watching tabs, phones, televisions, computers for hours and hours without moving around. Encourage your kids for outdoor play and as parents give reasonable play time. 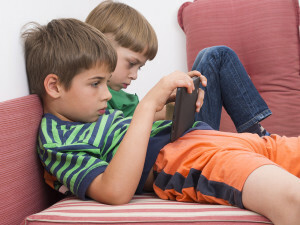 Ask kids to sit up and not slouch. 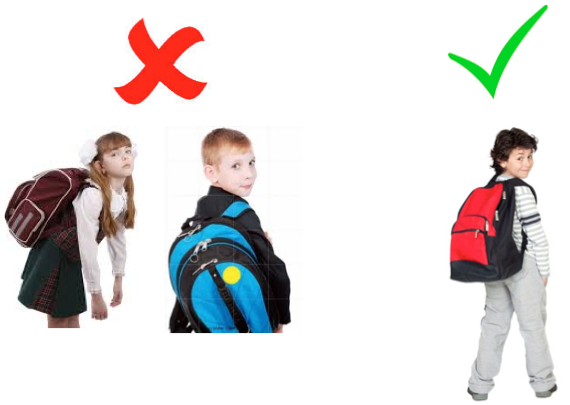 So if your child is complaining about back pain, do not take it too lightly. Try to include some activity with good Nutrition and check for few weeks. If the complaint is still there, do take a call and visit a specialized doctor in your area and get it investigated. Back pains are sometimes due to tumour cells also. So this is the last things which should happen to any child. But it is very important to rule out all possibilities. Put your queries in comments and I shall definitely answer them.